Twenty-seven years ago today, on November 24, 1991, the world lost an enigmatic, bombastic, shy, beloved, lonely and multi-talented man whose musical ability still awes old fans while drawing in new. 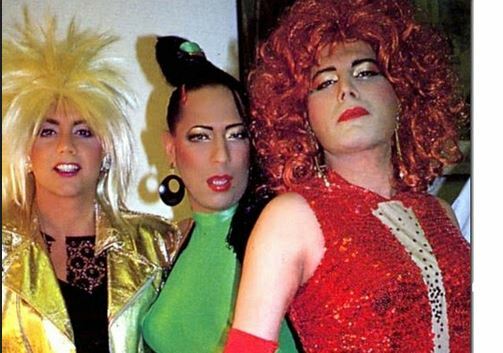 Freddie Mercury wasn’t just the lead singer of one of the greatest rock bands of all time. Freddie Mercury was – is – a legend, which is precisely what he said he would be. That explains why his music is still enjoyed by people around the world…and why a film about his life, by the people we believe knew him best, would be a box office draw. I admit I was hesitant about whether to see Bohemian Rhapsody, the “Freddie Mercury Biopic”. As a life-long QUEEN fan, I, like other QUEEN fans, have read a bit over the years about the group and about Freddie. I was certain there would be some liberties taken with Freddie’s storyline and I wasn’t sure I wanted to see them. I was also certain the empty feeling of loss would return once the film ended and “Freddie” was again gone. Both were true. Rumor had it that Johnny Depp had once been considered to play the part of Freddie. As a long-time Depp fan, I was definitely on board with that. However, those plans fell through (or never were) and Sacha Barron Cohen was contracted for the role. Those plans fell through as well, due to creative differences. Thus, Rami Malek was given the role. Now that I’ve seen the film, I have to say I cannot imagine another actor embodying Freddie as well as Rami did – aside from Freddie himself. His energy, his gestures, his subtle insecurities and even his flares of anger, were so reminiscent of Freddie they would likely make the man himself laugh in appreciation and recognition. Except for the eyes…which were hazel(?) instead of a dreamy dark brown. I haven’t seen a lot of movies this year, but I would even suggest Rami’s portrayal of Freddie was Oscar-worthy. Ben Hardy, Gwilym Lee and Joseph Mazzello were Roger, Brian and John, respectively. For much of the time, I felt like I was watching the actual band members. I felt Gwilym Lee, as Brian, was particularly spot on in both appearance and, with some minor exceptions, personality. Joseph Mazzello, whom I last saw on screen limping around after being fried by an electric fence in Jurassic Park, made me laugh aloud with his perfect impressions of John’s facial expressions. In one scene, he is lounging, legs crossed, on a couch. He’s somewhat blurred in the background of the shot, but just from the way he’s sitting there, it was as if John himself was in the scene. Although Ben Hardy’s performance was enjoyable as well, his likeness to Roger was less pronounced, particularly in the moments he shared with Freddie (in other words, most of them), which leads to my next point. We were told repeatedly throughout the film, how these four men were ‘like family’. We saw them create, quibble, and go on to make beautiful music together. But we never actually saw the family-side of their relationship. The connection history tells us these men had was nowhere to be found. 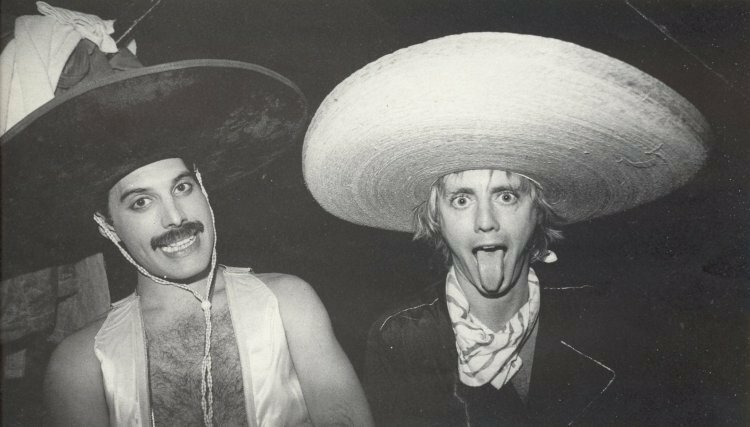 If anything, the relationship between Freddie and Roger appeared frosty, grating and antagonistic, and yet those two men were good, close friends. 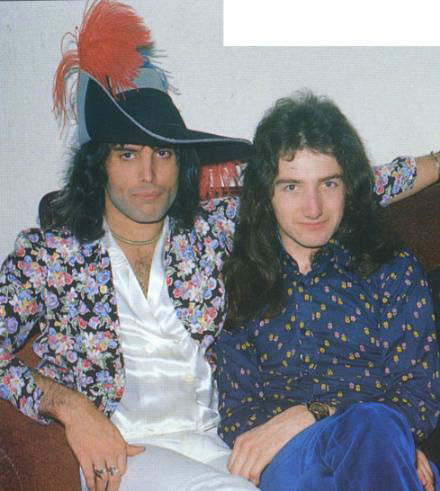 John and Freddie were close as well, with a genuine bond that is barely, if at all, present in the film. John even played bass on one of Freddie’s solo albums, Barcelona, which was a collaboration between Freddie and opera soprano, Montserrat Caballe. Instead, the relationship between these four amazingly talented men is shown as stilted and fair-weathered – even as we, the audience, are *told* by multiple characters that they were a family. QUEEN was not an overnight success. They were not performing in a club one night and ‘discovered’ the next. They were not all in agreement, all the time, with the style or direction of their music. Artistic differences among all four members, not only Freddie, caused friction between them as in any relationship with strong personalities. While the film portrayed them butting heads personally, it rarely portrayed moments of conflict during the recording process. In fact, with the exception of one particularly famous outburst from Roger (an amusing nod to the audience), the creative process came across as deceptively smooth. Another One Bites the Dust, for example, wasn’t written and recorded in one session as implied in the film. While that might be a minor overlooked Hollywood detail, it’s not minor to the history of QUEEN. As Freddie says in this “making of” video, it took months for them to record an album. All four men butted creative heads consistently. All four men toiled over their music, dealt with ‘adjustments’ from the others regularly, and all four, together, were better for it. 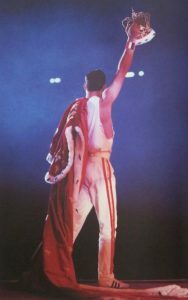 To present Freddie as the sole, constant, hysterical queen – with the single exception from Roger – was inaccurate because Freddie was a hysterical queen only slightly more than the others. It seemed to me that, throughout the film, Freddie was not only a hysterical queen, but constantly so. From real-life interviews, we know Freddie was definitely cheeky. He could also be charming, coy, abrupt and vulgar – all the things any one of us could be. He was a private person, wanting to present his art – his music, his bombast – to the world, then retire to a true home life with loving family and friends. Did he party? Did he drink and get high? Yes. He never denied any of that – and yes, for a while, he was a regular on the 80’s club scene. But the film makes it seem as though the others were somehow untainted by that scene, as though they thought Freddie, singularly among them, needed to ‘grow up’. The film also makes it seem that, since they didn’t have time for such childish behavior, Roger, John, and Brian frequently abandoned Freddie, passing on his invitations to spend time together, even for something as laid-back as a shared meal. Although his loneliness was genuine in real life, Freddie did have true friends – a house-full of them who he counted on, loved, and trusted. 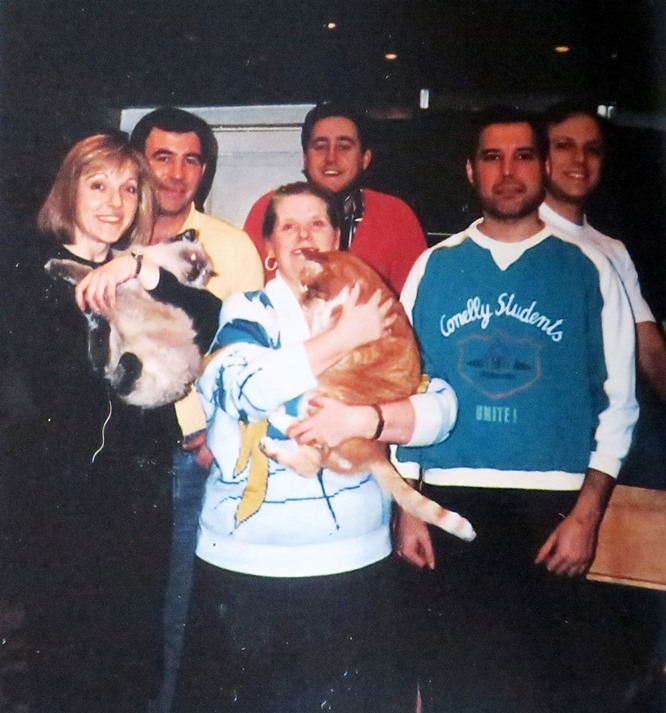 He had his bandmates, his family, his cats, and, of course, he had Mary. While some have suggested the film white-washed Freddie’s sexuality, I disagree. During most of the film, I felt his sexuality was either on obvious display or appropriately subtle, including the scene where he meets Mary after exchanging a wink and a nod with another man in a public hallway. But there were also moments when his sexuality was on display as something much deeper, more emotional. I felt the complexity of it. the confusion. I felt his passion and drive, his need for affection and his desire to maintain his privacy about it. Even scenes with Mary directly addressed his sexuality, including a scene adapted from the true-to-life moment when he told her he thought he was bisexual and she said she thought he was gay. He loved Mary until the end, and she loved him. Freddie even once referred to Mary as his “common-law wife”, and the portrayal of their connection – the pain and completeness of it – was palpable to me. In fact, I wanted more of that – more of their love affair, their oddly close yet distant relationship. The angst and pleasure of it. The ‘it’ that bound them together. The part of Freddie who Mary saw and loved. I wanted more of that because I believe it was that intimate part of Freddie that made him so appealing to men and women alike. On stage and off. Real life is not always as compelling as fiction, so artistic liberty is expected in a biopic such as Bohemian Rhapsody. However, I think it’s fair to say some liberties should be avoided – such as turning the lead character into a villain, especially when he’s not here to defend himself or otherwise set the story straight. 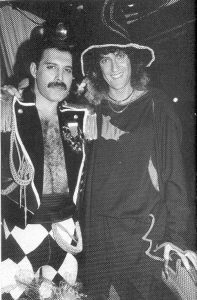 Freddie and Brian May in a music video for Freddie’s solo work: Living on My Own – with Brian looking less than teed about Freddie’s solo adventure. In Bohemian Rhapsody, the biggest (and most upsetting to me) scramble of history was Freddie’s apparent betrayal of the group, where he supposedly abandoned them for a $4 million solo contract. After months of isolation and no contact with Jim Beach, any of the band members, or even Mary, the film shows Freddie begging to be ‘allowed’ to rejoin the band. Freddie, for once in the film, is shown to be on time for a meeting where he’ll make this request, only to be kept waiting by his suddenly passive-aggressive bandmates who deliberately stroll in some time later. Freddie is shown to be contrite and near pleading, and is then sent from the room by Brian, like a scolded child whose punishment was to be decided. Meanwhile, in real life, the first among the band members to record a solo album was not Freddie but Roger, who did so in 1981 and then again in 1984. Freddie’s first solo album, “Mr. Bad Guy”, was released in 1985. The same year as Live Aid. Jim Hutton and Freddie were in a relationship well before Live Aid – which was well before Freddie was diagnosed with AIDS. Freddie did not suddenly look up a love interest after being diagnosed. Rather, it was after they had been together for a while that Freddie told Jim he had “full-blown AIDS”. According to Jim himself, in his book MERCURY AND ME, Freddie told Jim he would understand if Jim left him, to which Jim replied that he loved Freddie and wasn’t going anywhere. It’s a fact that Freddie’s voice was indeed weakened by AIDS…it is also a fact that Freddie downed vodka to lessen the pain of singing during studio sessions…but that was not during Live Aid, as portrayed in the film. It was several years later. 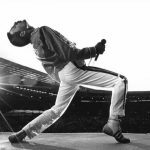 As stated before, Freddie was not yet diagnosed with AIDS at that point and, as history shows, Freddie, along with QUEEN, were in top form for their LIVE AID performance. If we look at this film as a Hollywood production, we will love it. In classic style, it shows the ugly duckling becoming the swan. It shows passion, love, conflict and heartache. It shows pain, hope and pride. It shows success, determination. And personal failure. Obviously, it shows a condensed and modified version of QUEEN and of Freddie Mercury, and I do believe Freddie, the man who once referred to his music as “disposable pop”, would be appalled by the very idea of it. Having said that, Bohemian Rhapsody also teased a side of Freddie that we, as an admiring or scoffing public only glimpsed: a confident though shy man whose charisma, talent and sexual prowess oozed from him as he stood upon the stage of life soaking in much deserved adulation. A man who had it all yet found himself, at times, home alone and lonely. A “musical prostitute”. An inspiration. A flamboyant, energetic, crowd-rousing frontman. An unmatched vocal talent. A man whose star still shines bright and whose music, mastery, and mystique live on.